#Vikings DT Shamar Stephen (toe) return is questionable. #Vikings Injury Update: #93 Shamar Stephen is questionable with a toe injury. Time to start blitzing. How is Barr doing today? Audie Cole filled in for Anthony Barr on last play of third quarter, Barr talked with athletic trainer Eric Sugarman and is back in game. These early NFL games today aren't going to wind up in the "Classics" bin... Woof. Among my issues with the Chiefs offense is the fact that the spread game passing attack isn't very good. Wonder who runs that? With 87 yds at DEN and 96 today, @stefon_diggs is the 1st #Vikings rookie since @RandyMoss w/ 2 straight games with 80+ rec. yards. 2 consecutive plays with passes defensed for @captain_41 .
.@captain_41 bats down the 3rd down pass and KC is set to attempt a FG. #Chiefs get on the board with a FG. 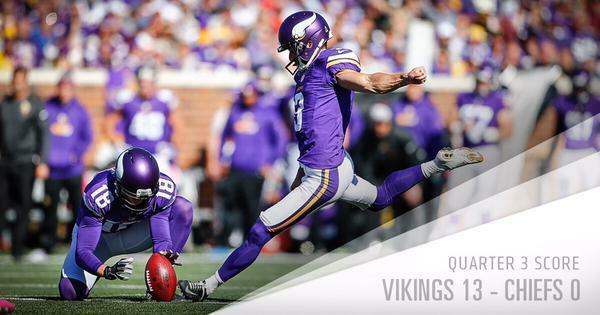 13-3 #Vikings lead with 13:10 left in the 4th quarter. We are on the board. @cairosantos19 drills the 48-yard FG with 13:10 remaining in the game. The KC FG is good and the #Vikings lead 13-3.
.@Jay_wright4 picks up 17 yards on the first offensive play of the drive!
. @Jay_wright4 has a season-high 69 receiving yards today. Marcus Peters third INT this season. 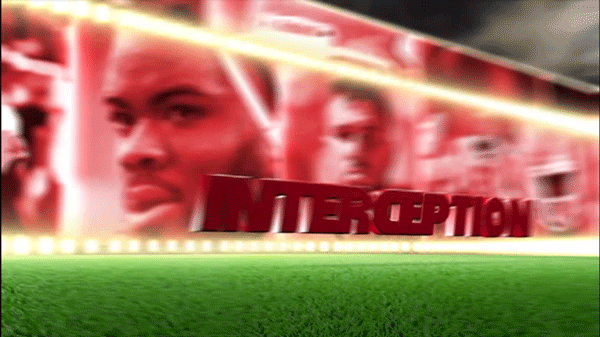 KC intercepts the @teddyb_h2o pass and will take over at their 23-yard line. Marcus Peters CAME TO PLAY! 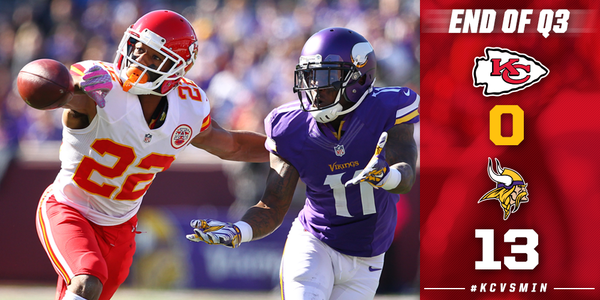 #Chiefs take over with 11 minutes to go. WR Albert Wilson, first career TD.Chiefs trail 13-10. On boy....we're gonna lose this game. What happened? PUT 6 ON THE BOARD! @iThinkIsee12 records his first TD of the season. Questionable defensive call by Zimmer, assuming he's doing the play calling. A KC TD cuts the lead to 13-10 with 8:46 left in the 4th quarter. #Chiefs injury update: WR Jeremy Maclin is being evaluated for a concussion. Justin Houston, 4th this season, 52.5 career. god if we lose this game I am startin a FIRE ZIMMER THREAD! #Vikings pull Peterson off on 3rd-15, Teddy finds rookie Stefon Diggs for 30 yards. That's 126 yards now for Diggs.
.@stefon_diggs goes over 100 yards for the 1st time in his career. Now has 6 catches for 126 yards.
.@stefon_diggs goes over 100 yards receiving on the day with a 30-yard catch on third-and-15. Hello Mr Diggs- goodbye MrPatterson!
. @teddyb_h2o has now thrown for 250+ yards in back-to-back games for the 2nd time in his career. Matt Asiata gives the #Vikings another 1st down. The #Vikings have the ball at the KC 36 with 5:08 left in the game.